May 16 is the 136th day of the year(137th in leap years) in the Gregorian calendar.There are 229 days remaining until the end of the year. 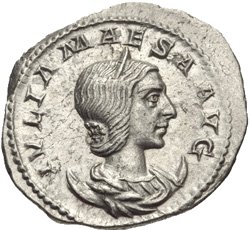 218 – Julia Maesa, aunt of the assassinated Caracalla, is banished to her home in Syria by self-proclaimed emperor Macrinus. She declares her 14-year-old grandson Elagabalus to be emperor of Rome. Macrinus is later deposed. 1739 – The Battle of Vasai concludes as the Marathas defeat the Portuguese army. 1877 – The 16 May 1877 crisis occurs. 1891 – The International Electrotechnical Exhibition opens in Frankfurt, Germany, and will feature the world's first long distance transmission of high-power, three-phase electric current (the most common form today). 1961 – Park Chung-hee leads a coup d'état to overthrow the Second Republic of South Korea. 1969 – Venera program: Venera 5 , a Soviet space probe, lands on Venus. 2005 – Kuwait permits women's suffrage in a 35–23 National Assembly vote. Year 218 (CCXVIII) was a common year starting on Thursday of the Julian calendar. At the time, it was known as the Year of the Consulship of Severus and Adventus. The denomination 218 for this year has been used since the early medieval period, when the Anno Domini calendar era became the prevalent method in Europe for naming years. John II or III of Cyprus was the King of Cyprus and Armenia and also titular King of Jerusalem from 1432 to 1458. He was previously a titular Prince of Antioch. Year 290 (CCXC) was a common year starting on Wednesday of the Julian calendar. At the time, it was known as the Year of the Consulship of Valerius and Valerius. The denomination 290 for this year has been used since the early medieval period, when the Anno Domini calendar era became the prevalent method in Europe for naming years. Emperor Wu of Jin, personal name Sima Yan, courtesy name Anshi (安世), was the grandson of Sima Yi and son of Sima Zhao. He became the first emperor of the Jin dynasty after forcing Cao Huan, last ruler of the state of Cao Wei, to abdicate to him. He reigned from 266 to 290, and after conquering the state of Eastern Wu in 280, was the emperor of a unified China. Emperor Wu was known for his extravagance and sensuality, especially after the unification of China; legends boasted of his incredible potency among ten thousand concubines. Saint Andrew Bobola, S.J. 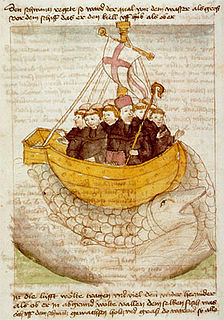 was a Polish missionary and martyr of the Society of Jesus, known as the Apostle of Lithuania and the "hunter of souls". He was tortured to death during the Khmelnytsky Uprising. He was canonized in 1938 by Pope Pius XI. Aaron was a Miaphysite Coptic saint. His apocryphal legend says of him, "When he was sick, he made roasted pigeons fly into his mouth." He has a feast in the Coptic Calendar of saints on May 16. Abda and Abdjesus were two Christian bishops who were martyred at Kashkar under Shapur II on 16 May, in either 366 AD or 375 AD. They were first placed between heavy boards to crush their bones, and later beheaded. ↑ "A historical perspective on the Triton Fountain restoration". The Malta Independent . 25 October 2015. Archived from the original on 17 February 2017. ↑ Gordon William (Chalkie) (1913–1991) — Australian Dictionary of Biography. Retrieved 16 May 2018. Wikimedia Commons has media related to May 16 .